When you have a have a plumbing emergency, call Plumber Stillorgan. Whatever the problem we can fix it quickly. We have the solutions to all your plumbing problems. Our staff are on call 24/7-365 to cover all plumbing emergencies. When you call us we will offer professional advice over the phone. If needed we can send one of our plumbers in Stillorgan out to your door within 60 minutes day or night. We only employ fully qualified R.G.I. registered plumbers with full indemnity insurance to ensure your peace of mind. About you local team at plumber Stillorgan. We pride ourselves on our honest approach. We ensure our prices are extremely competitive and all of our charges are completely transparent. We operate an up front pricing policy. This is so you know exactly what the service will cost you. There aren’t any nasty surprises when the bill comes in. We don’t do hidden costs. We never charge call out fees or charging for traveling time. If you need a plumber, remember for your local team. 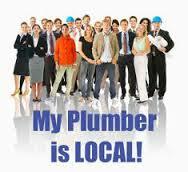 With us no plumbing job is too small or too large. We have been established for many years now and have some of our senior Stillorgan plumbers with over 25 years experience in the private and commercial plumbing services industry. This experience allows us to complete even the most tricky plumbing jobs. We always strive to provide the best quality plumbing work within the industry. If you need a local honest, reliable plumber who is 100% focused on his work. Call us today. • A 24 hour on call emergency Stillorgan plumber. • Boiler repair and boiler replacement. • Boiler servicing. Oil and gas conducted by a R.G.I. engineer. • Central heating installations and repairs. • Gas appliance installations. This includes gas ovens and hobs. • Gas pipe repairs and installation. • Bathroom renovations & kitchen installations. • Drain Unblocking. We use professional equipment such as jet flushing units, drain rods, and plumbers snakes. • Water pump and heating pump repair and replacement. • Installations of showers, baths, sinks and toilets. At Plumber Stillorgan we will never charge for call outs. We are happy to visit you at your convenience and provide a free no obligation quotes. Our vans are fully stocked so there is never a need to be “out buying parts”. If we need parts we get them in our time not yours. If you live in south county Dublin and need a plumber call your local team today on 01-2844921. We are here to provide a one stop shop for all your plumbing requirements. We are the only plumbing company in Dublin to advertise our prices on our websites.